In today’s article, we are going to interview MAJ Michael Kane about his experience as an Army Cyber Assessment Mission Coordinator. Mike is a friend of mine and I know you will get a ton of value from this interview. Thanks for the interview today, Mike. We have eight questions to ask you. Let’s get started. # 1 Who Did You Serve with? I served as the Cyber Assessment Mission Coordinator with the Virginia Data Processing Unit, Virginia Army National Guard (ARNG), Fairfax, Virginia from January 2016 to May 2017. In that capacity, I served as the Virginia ARNG lead for former Governor Terry McAuliffe’s Cyber Vulnerability Assessment mission in the Commonwealth of Virginia. 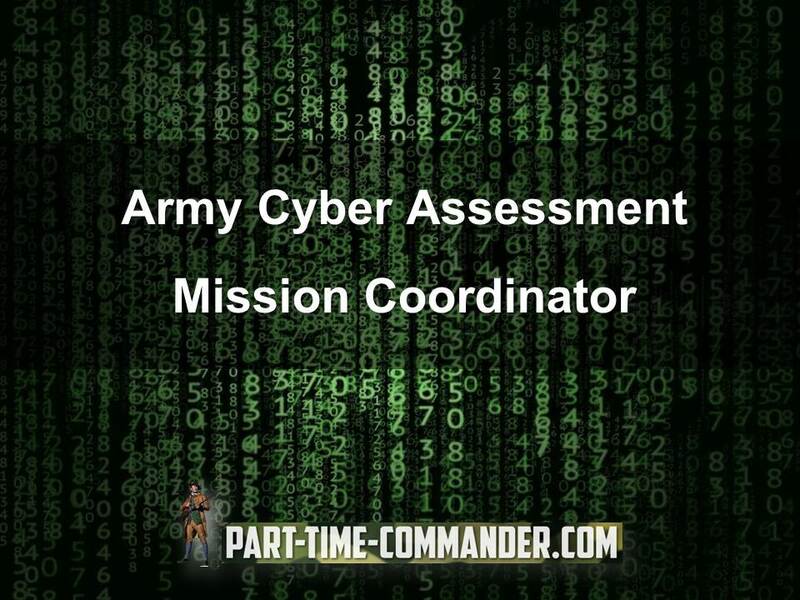 # 2 What is The Job Description for an Army Cyber Assessment Mission Coordinator? Serves as the VA ARNG lead for the State Active Duty Cyber Vulnerability mission. He regularly represented the VA DPU commander and the VA ARNG, while coordinating with state and local leadership, the State J3 (Joint Operations Officer) and Dept. of Military Affairs, demonstrating the utmost professionalism and dedication to mission accomplishment; he volunteered to serve as the Officer in Charge for the Governor’s Executive Directive: EXPANDING CYBER-RELATED RISK MANAGEMENT ACTIVITIES, constructed a detailed concept of operations and oversaw the execution of multiple assessments to protect cyber infrastructure in Virginia, resulting in municipality InfoSec managers receiving specific recommendations to harden their network. # 3 What Were the Primary Tasks You Did Each Day? I coordinated mission dates with the Information Technology managers/directors and planned site visits to make face-to-face connections with the network owners prior to conducting the assessments. Another major aspect of my daily schedule was to arrange lodging and training for the team members during the assessments and coordinate with personnel from different agencies within the Commonwealth that were major partners in the success of the Governor’s initiative. # 4 What Did You Enjoy About the Job? I enjoyed the opportunity to build a program from the ground floor that had high visibility for the Virginia National Guard and to empower the customers with an unbiased look at their networks. While building the program, I asked for input from many members of the unit that had experience with penetration testing, vulnerability assessments and physical security, which was a major asset to our success and a growth opportunity for the less experienced soldiers. Another aspect of the position was interacting with Cyber professionals within our State Military Reserve, the Virginia Defense Force. These men and women are our partners during State Emergencies like natural disasters and other State Active Duty events, so partnering with them in the Cyber arena was an extension of an already established partnership. Finally, interacting with the many Chief Information Officers (CIO), Information Security System Managers (ISSM), as well as their system personnel really added value to my knowledge base and grew my sphere of influence. Getting to meet the Governor and his wife in January 2017 were a plus as well! # 5 What Did You Dislike About the Job? I’m grateful and blessed that the whole experience was an awesome experience! If I had to pick something, it would be the traveling. My furthest trip took about 5 hours to get there, but if you’ve traveled along Interstate 81 in Virginia, you know that the views are breathtaking! Another dislike was not gaining enough access to the local network in order to provide them with greater opportunities for success in mitigating problems; but it was their right to limit the scope of our assessment. # 6 What Skills Does It Take to Succeed as an Army Cyber Assessment Mission Coordinator? The skills that enabled me to do well in this job were humility, a desire to learn and communication skills. When I started as the Mission Coordinator, I had never built a Vulnerability Assessment team or the tools used for assessments, so I asked questions and gained insight from my unit members as well as leaders from states that were conducting the missions. Through the process, my desire to learn drove me towards learning about Web Vulnerability assessments and adding it to our list of services. This new service provided great value to the customers, because many had never done assessments of their websites; if you use the websites to collect Personally Identifiable Information into a database, improper security can cause grave damage to the organization. The communications skills always need to be enhanced! In this job, it was not uncommon to talk with the Governor or Adjutant General of the Virginia National Guard in different situations as well as the CIO of Virginia and of municipalities in the Commonwealth. The biggest impact of my communications skills came in the form of the out-brief of the mission and the final report that I submitted to the customers within a month after the assessment. Weekly briefings to the Virginia National Guard and communication with the National Guard Bureau were common as well. # 7 If You Were to Do the Job Again, What Would You Do Differently This Time Around? I thank God that I had a great commander that gave me the flexibility to use my strengths in order to build the mission up. I don’t see any areas that I would change because of the aforementioned skills of humility, a desire to learn and communication. I also had great soldiers and Virginia Defense Force personnel that added value to the mission and my life experiences. # 8 What Are Three Tips You Would Recommend to Someone Serving as an Army Cyber Assessment Mission Coordinator? Many people in the Cyber arena are prideful; this pride comes from being highly intelligent and creative. The three tips that I actually offered my replacement on the mission (a seasoned Lieutenant) was to ask questions, look to the team members for assistance and utilize my experiences as your foundation. Most importantly, always be open to learning more! Michael A. Kane is a 27.5 Year veteran of the Army, having served in the Army Reserve and the Army National Guard. He is a combat veteran of Iraq as well as Afghanistan. Michael enjoys being with his family, personal development, promoting strong marriages, music and entrepreneurial endeavors. He has been married to his wife, Yanick for almost 20 years and they are the parents of four kids ranging in age from 16.5 years to 5 years old. 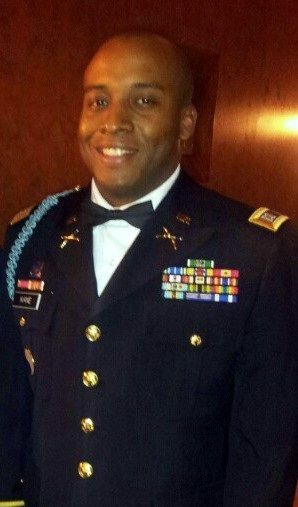 He is currently serving as a Major in the Army National Guard’s 91st Cyber Brigade based in Fairfax, Virginia. Thanks for the interview Mike. You delivered a ton of value for anyone looking to do this job. Thanks for your service!